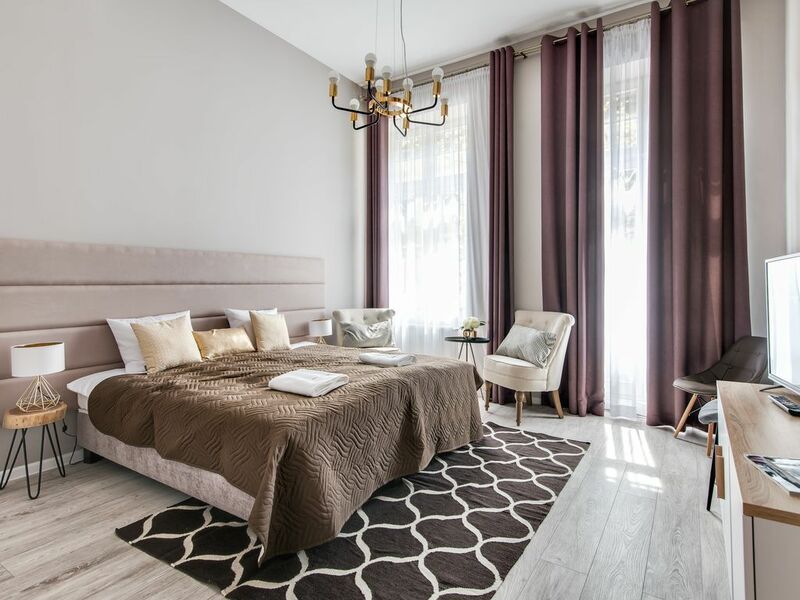 uxury two bedrooms apartment with balcony in newly renovated ApartHotel. Two comfortable beds with box spring mattresses in each bedroom; two large flat screen TV, access to high-speed WiFi, iron, hairdryer and washing machine. Well equipped kitchenette and cozy shower bathroom will make you feel just like home. You have access to a high-speed WiFi. Towels and linens are also provided for all your guest. If you are family traveling with a young child, we have an optional crib. If you have any special needs or requirements to stay, we are more than willing to help. During your stay we are always ready to answer all your questions. We could help you arrange sightseeing - Wieliczka Salt Mine, Auschwitz, Cracow City tour. Airport transfers can also be arranged upon request.